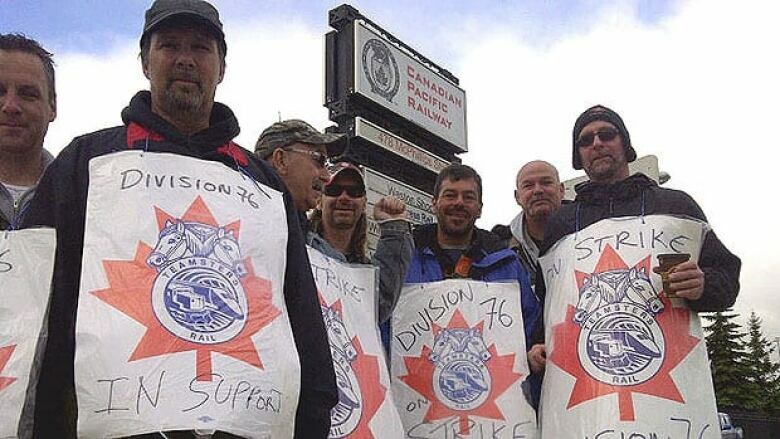 Canadian Pacific Railway picket lines could come down today in Winnipeg and elsewhere across the country. Close to 300 workers, part of a national strike by 4,800 engineers, conductors and rail traffic controllers, have been picketing at various locations in the city. But after five days , the Teamsters union is facing back-to-work legislation by the federal government. Contract talks broke down on Sunday. Ron Thiede, a picket captain for the Teamsters in Winnipeg, said there has been lots of support. "It's been amazing. We've had a lot of people just like you hear right now, people are honking and thumbs up, so, no, we've had nothing but great support," he said. No one on the picket lines is surprised by the government's move, he added. "The last 10 rail strikes have all ended in back-to-work legislation," Thiede said. "When the call comes out [to return to work], you know, we're all professionals — we'll respect and honour that and go back and do what we do."